A free drop-in workshop with local artist Pip Lewis to create portraits of the beautiful buildings that make Haverfordwest such a unique and special place. Using old and contemporary photographs, alongside digital applications such as google maps, simple drawing, tracing and collage techniques will build a unique picture of the town, seen through the eyes of those that live, work and play here. Suitable for ages 7+ and all abilities. All materials provided (bring along a tablet or smartphone if you have one). Under 12’s must be accompanied by a responsible adult. 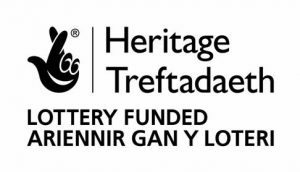 History in our hands, runs every afternoon throughout half term week and has been supported by Pembrokeshire County Council’s Haverfordwest Townscape Initiative and the Heritage Lottery Fund. 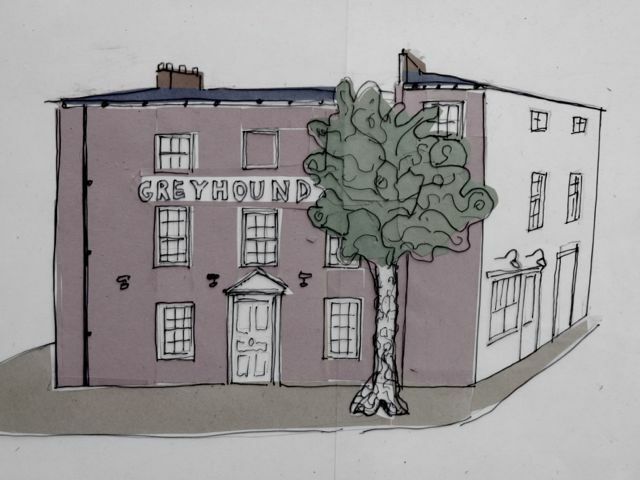 Featured image: The Greyhound Inn – one of many buildings in the town that have recently been restored.